Learn about the Golden Retriever’s history, health and diet by reading this Golden Retriever guide – discover what makes this breed unique! The first yellow Retriever, i.e. the founding creature of this breed, was “Nous” – a yellow puppy from a litter of Black Wavy Coated Retrievers. Lord Tweedmouth is credited with developing the breed, and the now extinct Tweed Water Spaniel was key to this breed’s early development. Eventually, the Golden Retriever pedigree was recognised by the Kennel Club in 1913. This breed has continued to grow in popularity as both a working and a family dog since. A large, active, and well balanced dog with a broad head, the Golden Retriever has dark brown eyes full of kindness. The Golden Retriever is deep chested with long muscular limbs; it also has a tail which is carried level and has plentiful feather. The coat can be any shade from cream, to deep gold – with the exception of red. It should also be flat or wavy with good feather. The Golden Retriever also has a water resistant undercoat. To help reduce your Golden Retriever’s shedding, you should look to engage in traditional Golden Retriever grooming methods, such as brushing, clipping and bathing once a week to help maintain proper skin and coat health. Full of natural working ability, the Golden Retriever is active and enjoys a lot of exercise. A friendly, confident and relaxed breed, they are generally very sociable. As a large breed, Golden Retriever growth from a pup to an adult takes a significant amount of time, at least compared to smaller breeds. That’s why it’s important that they are given all the support they need for the full 15 months to allow their skeleton, digestive system and natural defences to fully mature. A sensitive skin can be a concern for the Golden Retriever, so this should be taken into consideration with a diet supplying supportive vitamins, minerals and omega fats. During growth, the Golden Retriever is also developing its signature coat, which will need the support of the aforementioned nutrients, as well as a good supply of quality proteins. 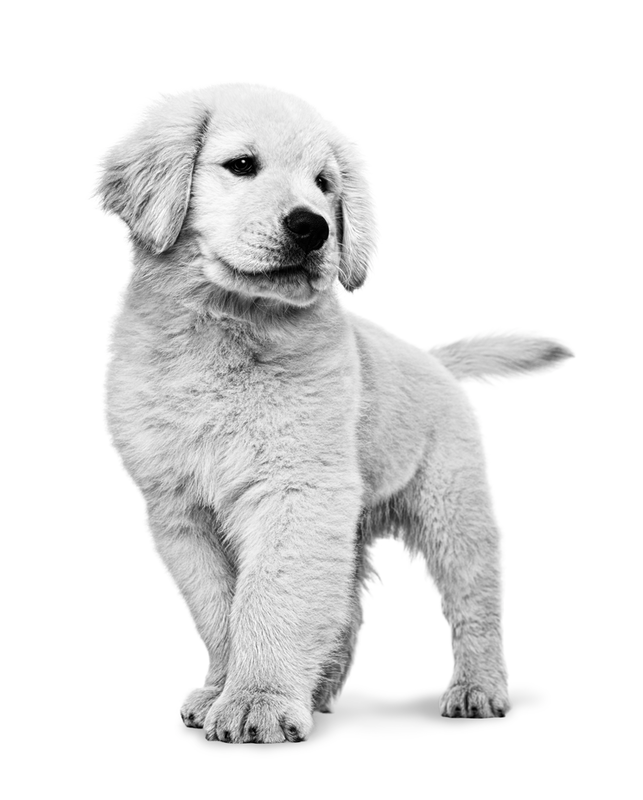 Ideal Golden Retriever puppy food: ROYAL CANIN® Golden Retriever Puppy. The sensitive skin of the Golden Retriever continues into adulthood, and correct nutrition is important to help maintain the skin’s health and natural barrier role, as well as to keep the silky coat of this breed in top condition. The Golden Retriever adult is active throughout adulthood, and the Golden Retriever’s running ability is not to be sneered at! However this breed can also be laid back and therefore prone to excess weight gain. Excess weight gain can lead to many health concerns, such as joint issues. That’s why it is essential that your Golden Retriever’s diet is adapted and moderate in both fat and calories to reduce this risk. Owners must also be mindful of feeding rations when following feeding guidelines found on product packaging. When contemplating the best food for Golden Retrievers, remember to keep an eye out for the benefits that each Golden Retriever diet offers – ensure that it accounts for coat health support and an adapted calorie content. 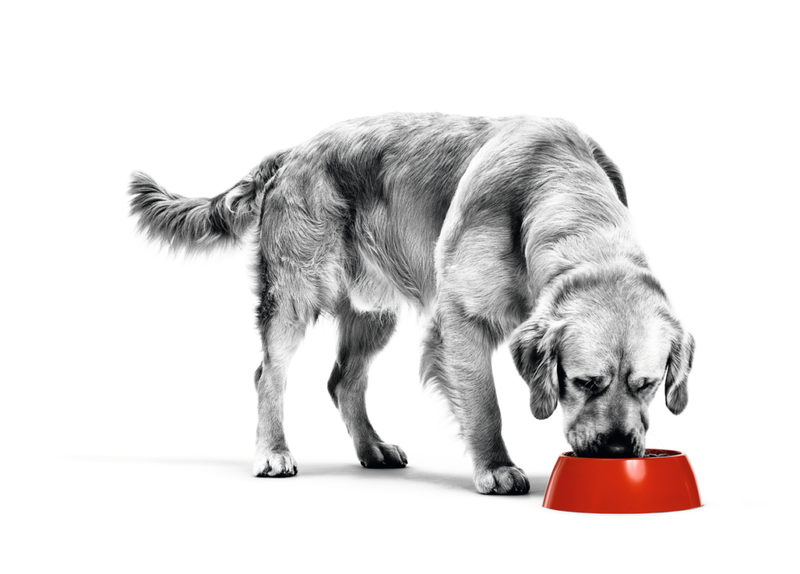 Ideal adult Golden Retriever food: ROYAL CANIN® Golden Retriever Adult. How Much Exercise Does a Golden Retriever Need? What Are the Differences between the Golden Retriever and the Labrador?